In the distant future, three superpowers are locked in an endless war with each other over the scant resources left on the planet. The communist Celts, the theocratic Americans and the theocratic Vikings are all that remain of the dozens of nations that once existed on the planet; with all the other civilizations having fallen before their military might and been assimilated into their burgeoning empires. The war has lasted almost 2,000 years, and the stalemate just about half that. Nuclear fallout has swept the world, rendering large swathes of land uninhabitable. What arable land wasn’t irradiated is now mostly swamp, because it was inundated by the melting of the ice caps. Between nuclear annihilation and famine, 90% of the world’s population is dead. The survivors live in hellish suffering, as military production takes priority over absolutely everything else. Guerrilla uprisings sporadically occur, and are ruthlessly suppressed. The year is 3991 AD, and there’s no end to the war in sight. It’s been 16 – sixteen! 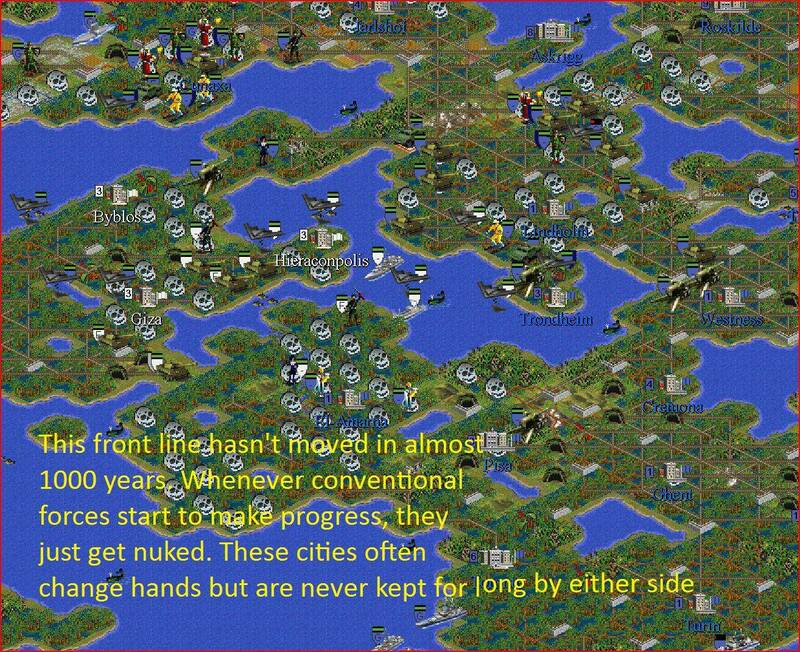 – years since Civilization II released, and it’s still giving us amazing stories like this. This is why I love gaming. While I highly recommend you read the thread itself, it’s possible you may not have the time to go through it. So, if you’re interested, join me after the break where I’ve posted a few of the more brilliant bits. It’s Orwell by way of The Matrix, if they stopped off at Assassin HQ for a coffee with Prototype on the way. It’s a gorgeous open-world game; so gorgeous, in fact, that it might very well be our first look at what the next generation of video games is going to look like.